Are you planning to start a business in Australia but you don’t know what do you need for it? Start with the first steps. Know the new entrepreneurship visas that the government is launching. 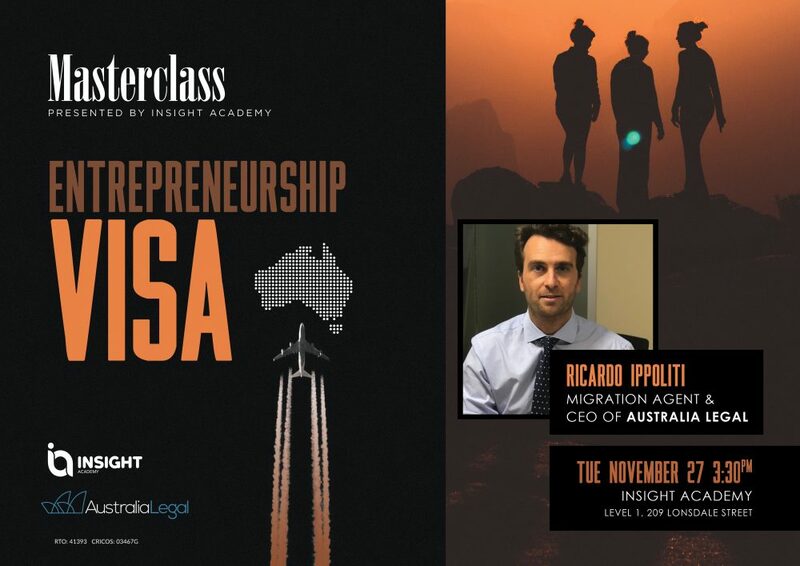 Ricardo Ippoliti, Migration Agent & CEO of Australia Legal, will be teaching all about this Entrepreneurship Visa and others. Don’t miss opportunities like this, you never know when is this going to be useful for you.